Usually, the need to acquire the auto parts arises whether you have a new car or the one that had been driven a lot. Of course, all the vehicles, as well as any machine, needs constant care, and when using constantly, the replacement of some parts, especially as any of them has its certain service life. Therefore, sometimes the drivers have to face the complicated task: to find and choose the right spare parts. Today there are many ways to buy the necessary part. Every driver cares both about its quality and a price. Why would anyone want to overpay, especially for a poor-quality thing? 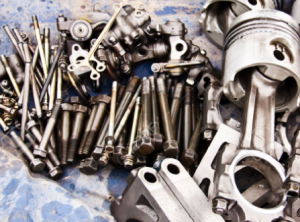 Therefore we should tell you more about each way of buying spare parts, to avoid the frustrations in future. Today, the original auto parts are the most qualitative. They’re characterized not only by the high price, but also by an excellent quality. You can buy them directly from the dealer of your car brand. Buying the brand-new auto parts, you don’t have to worry about its quality and service life. It is better to entrust the installation of auto parts to the professional repairmen in the specialized auto shops. Then you’ll have a 100% guarantee of the right detail installation, and there would be no problem with the car.